Travel light. Shoot with confidence. 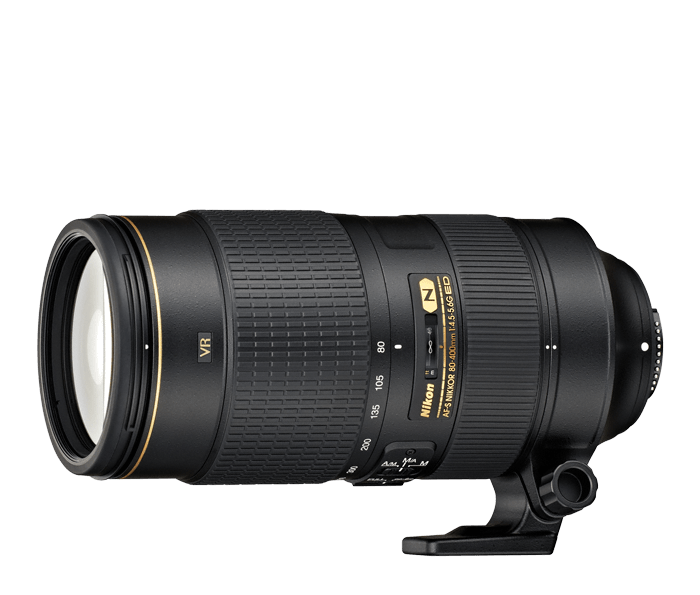 The AF-S NIKKOR 80-400mm f/4.5-5.6G ED VR covers the broadest focal length range of any NIKKOR super-telephoto zoom lens. At 80mm, its an ideal medium-telephoto portrait lens. Create stunning portraits with a medium telephoto perspective and softly blurred backgrounds. At 400mm, its a powerful super-telephoto lens suited to wildlife and action photography. For dazzling close-ups with macro detail, get as close as 1.75m from your subject and zoom in to 400mm—you'll be amazed by the results!